You may also use the TPCA home page to find these events. Members: Log on to see law enforcement exclusive training under the MEMBERS ONLY section. Along with great training opportunities, programs and services offered to our members, a great benefit to being a TPCA member is the social networking aspect of being a part of one of the largest law enforcement networks in Texas. The Association hosts several events throughout the year that are open to all members and often combine socializing with peers in conjunction with the beneficial training and programs you've already come to expect from TPCA. Check the Training page for information about the upcoming Education & Training schedule. There are several opportunities throughout the year for TPCA members to join their Association staff and Executive Board in showing their support and meeting with their peers. Please check our Events Calendar for a listing of events and locations. 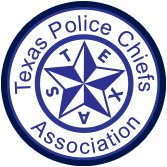 The Texas Police Chiefs Association gives our Members and Associates numerous opportunities for training and development through the listed conferences and meetings. If you have a meeting or training you would like posted, please contact us at info@texaspolicechiefs.org. Log in as a member and see other law enforcement training and legal updates. We are glad you are a part of the TEXAS POLICE CHIEFS ASSOCIATION!